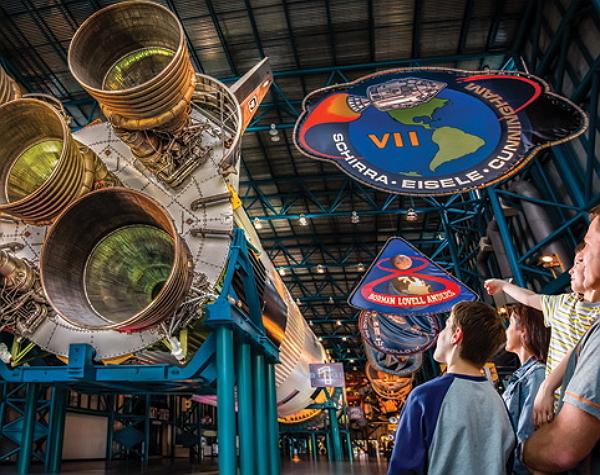 With your Kennedy Space Center Space Pass you can visit all the main elements of the Kennedy Space Center Visitors Complex including, the Shuttle Launch Experience, the Rocket Garden, KSC Bus tour including the Saturn V Centre, IMAX 3D films including Hubble & Journey to Space, and the Atlantis Exhibition. Plus you can enjoy lunch with a real life astronaut and join in exclusive tour to the more restricted areas of the Kennedy Space Center. 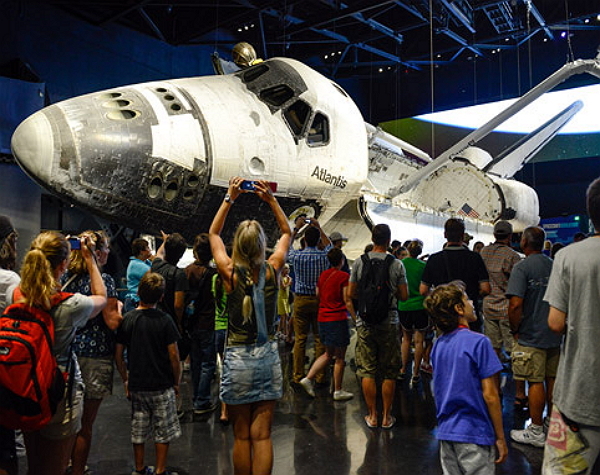 * KSC Up-Close Tour - 2 hour tour offering access to areas Otherwise open only to NASA personnel: such as the Space Shuttle launch pads or the launch control center. Tours include photo opportunities of the giant structures that make up the World's Largest launch facility . Get an up-close look at the coastal launch pads that unleashed the power to put people on the moon and send space shuttles to the International Space Station. 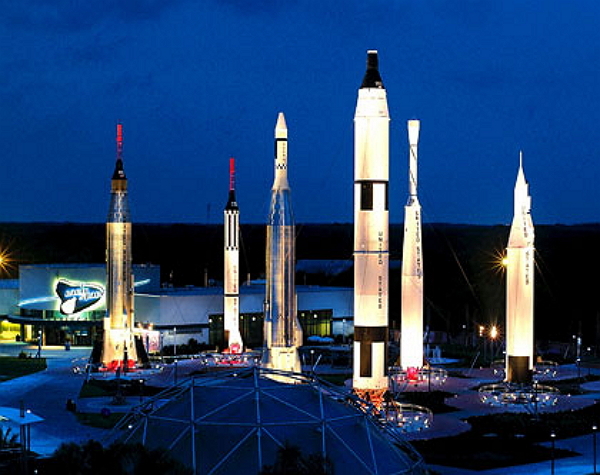 The tour culminates at the Apollo / Saturn V Center, home of the Largest rocket ever built - a 363-foot long moon rocket. Here are some answers to the most asked questions. If you can't find the answer here then you are welcome to speak to our sales team. 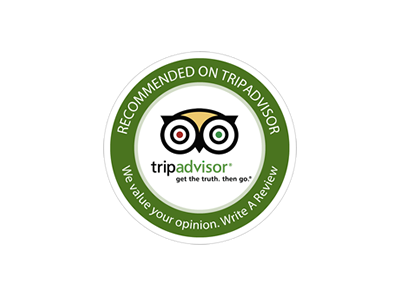 A: As this experience requires a specific reservation we will send you a voucher with your booking details to redeem locally. Q: Can I use my admission ticket more than once? A: No. This experience is for a single day admission plus lunch and additional tour. 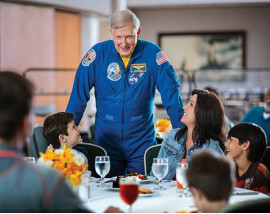 Q: Will I get to meet an astronaut? 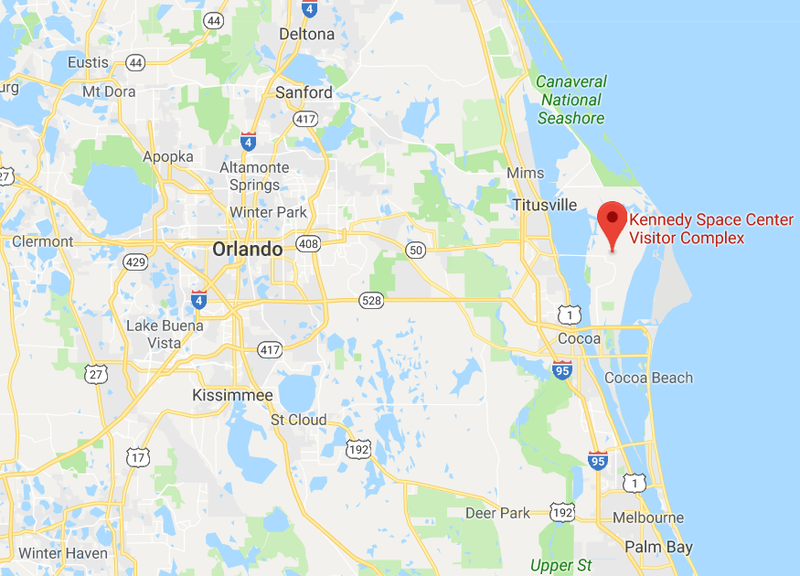 Q: How do I get to Kennedy Space Center? 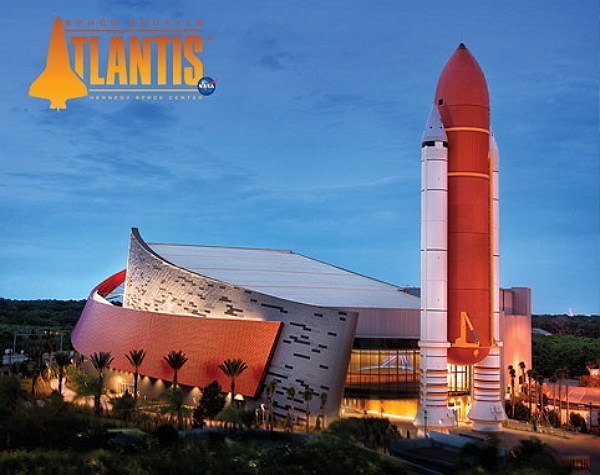 A: This attraction is around a 45 minute drive from Orlando. If you have not got a car there are options that include transport with a number of pick up locations. 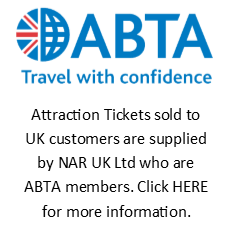 Q: If I have to cancel my holiday, can I return my tickets for a refund? A: Please contact us as soon as possible if you are unable to make your reservation. 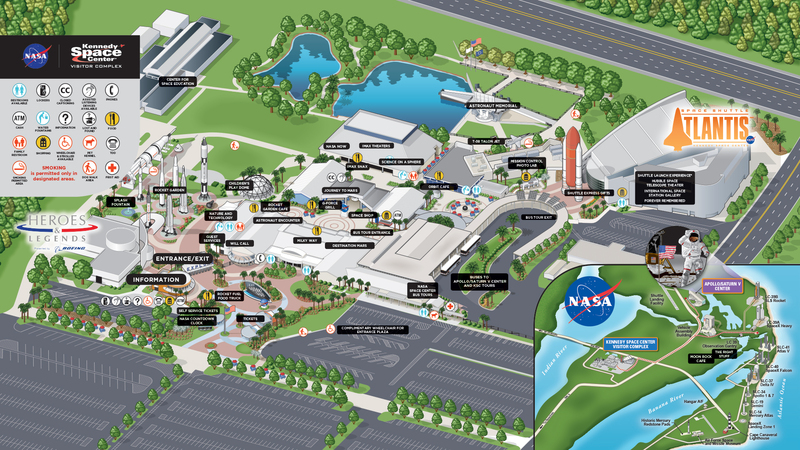 Wheelchair Access: Access for visitors with disabilities is available throughout the Kennedy Space Center Visitor Complex. Wheelchairs and electric scooters are available to rent on a first-come first-served basis at around $10/$25 per day. Vision Impairments: Visitors with impaired vision can take a short orientation of the Visitor Complex on the day of their visit. Free audio guides in 8 languages are available to guests with impaired vision. Disabled Parking: Disabled parking spaces are available near the entrance of the Visitor Complex.